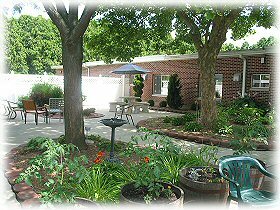 Arbor Manor Rehabilitation and Nursing Center is a family-owned and operated recovery and rehabilitation facility providing exceptional quality personal care. Our Center, set on beautifully landscaped private grounds, surrounded by pines, promotes a safe, peaceful and quiet setting, as our guests go through the healing process to ultimately return to living independently in their community. We work hard at creating successes every day for you. Getting people well and getting people home is our motto. Our Rehabilitation Department is staffed by experienced, licensed therapists who work closely with you and our physicians to provide the best individualized physical, occupational and speech therapy possible. 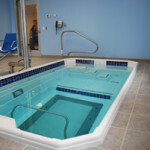 Our newly renovated Therapy Department is second to none. 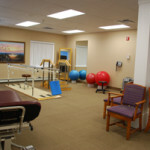 Recovery and rehabilitation are our primary goals, so our guests can return to their home to enjoy their independence. 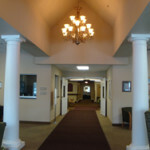 As you walk into our Center, you are greeted by friendly, caring staff surrounded by our comfortable and elegantly decorated lobby. Our dedicated professional staff seeks to optimize your quality of life. We sincerely care about our guests and their families. You’ll find our guest rooms and services come with all the comforts and amenities of “A home away from home”.